Michele Gretano began her CrossFit journey in 2008 in La Jolla, CA, quickly becoming an “unofficial coach” as others joined her gym and asked for her feedback. 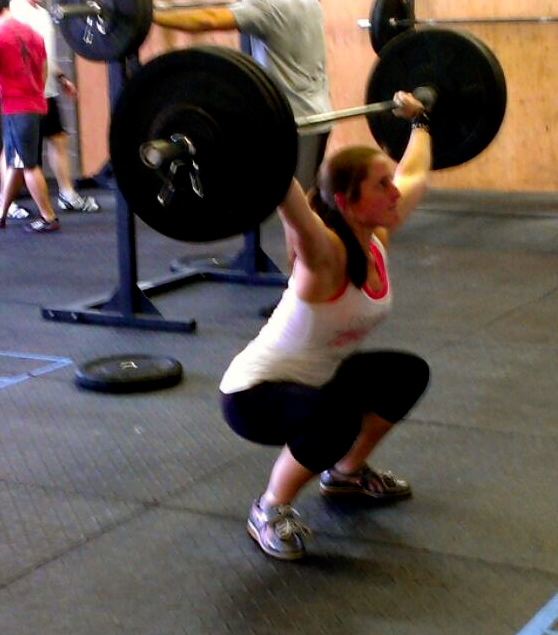 She earned her CrossFit Level 1 Trainer certificate in 2011 and continued helping her fellow athletes. After moving from San Diego to New York for her corporate career in hotel finance, she soon realized her quality of life was unacceptable. She quit her job and followed her love of CrossFit to help others find fitness and health at CrossFit Bridge and Tunnel. Michele’s favorite people to coach are “regular” people who want to learn to move better and be faster and stronger. If you’re willing to be surprised with your own accomplishments, Michele will help you reach new levels of fitness. Her favorite lift is the power clean, and she’s crazy enough that “Fran” is her favorite benchmark WOD. She is also passionate about running and gymnastics, achieving a goal that was years in the making when she broke 2:15 on a half marathon in 2014. But it all comes back to CrossFit for Michele. She loves the quantifiable results of the CrossFit method and seeing people of all fitness levels continue to surpass their own goals and expectations.